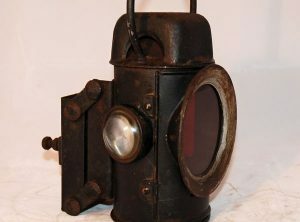 A single oil lamp, with a clear lens to front, red to rear. 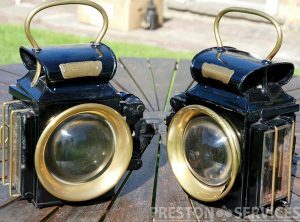 Type No.595 Sprung Traction engine lamps. 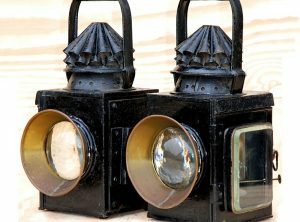 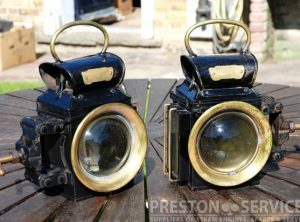 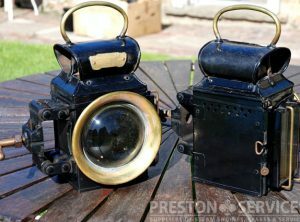 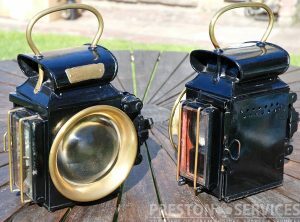 Pair of traction engine oil lamps. 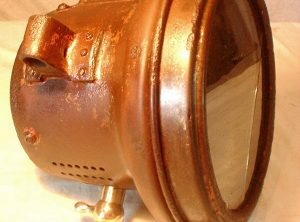 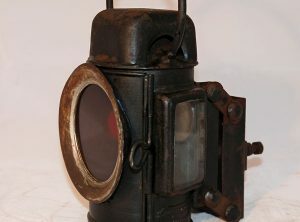 Single ‘Miller’ pattern acetylene headlamp. 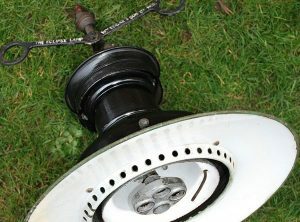 Fork mounting, with 8″ dia bezel. 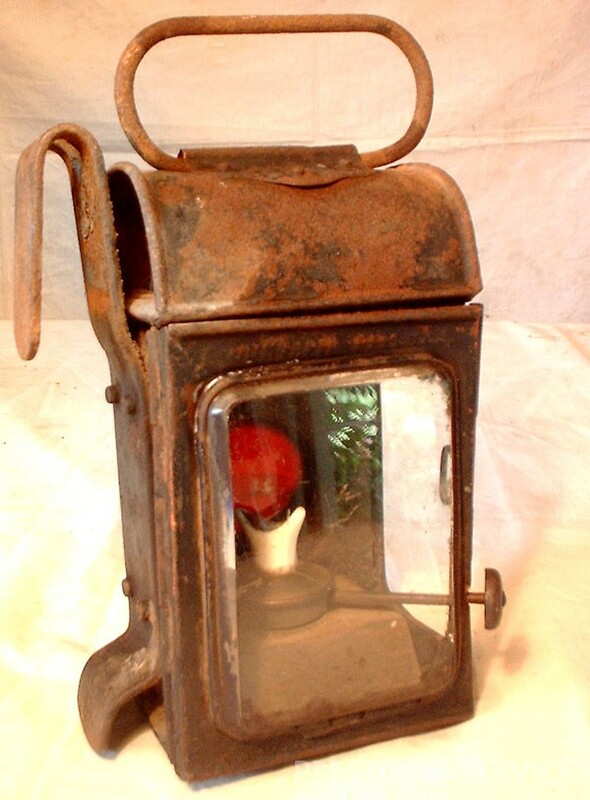 A single oil side lamp. 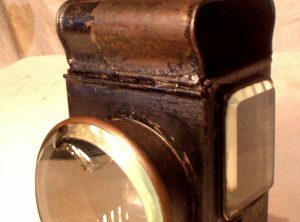 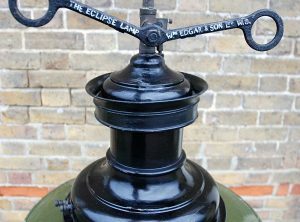 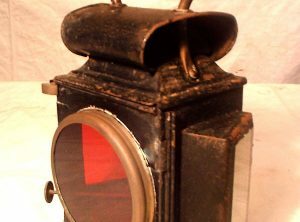 A single Oldfield style oil lamp, with red lens.